Benefit from Heavily Discounted Chartered Physiotherapy! AND Make money for your club! Laurel Lodge Physiotherapy are delighted to announce that Saint Peregrines GAA club are now an affiliated sports club and players and members alike can take advantage of heavily discounted chartered physiotherapy while earning money for their club. 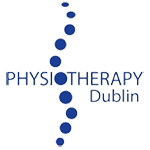 The Club Kick Back Scheme was launched by Laurel Lodge Physiotherapy earlier this year and has been approved by the St. Peregrines executive committee.